It is a possibility that some of us do not understand the goodness of a New Year’s Resolution, however, only thinking that making a resolution will ensure failure, and hence, more guilt. As a result of this thought, I have an idea: why not make a New Year’s Resolution that is on a positive note, perhaps a foolproof resolution? USA Today reports that in New York City the Times Square Everything business group and the City of New York Department of Sanitation are helping residents to give themselves the gift of forgetting bad memories. These two groups are setting up shredders and recycling bins in Times Square Visitors Center for an hour on December 28, 2018, to get rid of embarrassing photos, negative memos, failed projects, and anything disposable. A grand prize of $250 will be given to the person voted most creative in shredding or recycling bad memories. What a neat idea for forgetting the past. The Apostle Paul was involved in persecuting and killing Christians. When God called him into the kingdom of God, Paul could have spent his time meditating on the wrong things he did and remained paralyzed with guilt, shame, self-hatred, low self-esteem, negativism or self-pity over his bad behavior. Instead he chose through the power of the Holy Spirit to meditate on good things and release himself for mighty use by God. Paul tells us to “Rejoice in the Lord always [delight, gladden yourselves in Him]; again I say, Rejoice” (Philippians 4:4). The Apostle Paul did not let past mistakes or failures stop him from maturing in Jesus Christ. Give yourself the gift of the attitude of Apostle Paul. “I do not consider, brethren, that I have captured and made it my own [yet]; but one thing I do [it is my one aspiration]: forgetting what lies behind and straining forward to what lies ahead, I press on toward the goal to win the [supreme and heavenly] prize to which God in Christ Jesus is calling us upward” (Philippians 3:13-14). Paul also recognized that God choose him because he was so bad, God was able to show His matchless grace (1 Timothy 1:15-16) as an example and encouragement to believers throughout the ages. If Paul can be used by God, so can I! Have you gone through a divorce, a death in the family, a job loss, illness, rejection, loneliness, persecution, loss of valuable possessions or a bad experience that still torments you? These types of experiences need to be shredded out of your mind in terms of focusing on guilt, shame, self-hatred, self-pity, low self-esteem, negativism and any other thought pattern that does not give God the glory. Jesus Christ went to a cross in Calvary, Israel more than 2,000 years ago to pay the debt owed God the Father for all the wrong thoughts and wrong behaviors and shortcomings (sins) of the people God chose to spend eternal life with Him. He did not die for you to get stuck on sin and shortcomings. God has forgiven us and released us to be transformed in His image. Sometimes we need to do things like the NYC shredding day and physically make a break with mistakes, failures and disappointments. Even when a loved one dies, we are not to dwell in grief indefinitely. Moses was a great leader of the Israelites. When he died, God said do not grieve for Moses past 30 days (Deuteronomy 34:8), and He told Joshua to move on with the Israelites into the promised land (Joshua 1). When God the Father, His Son Jesus Christ and the Holy Spirit, one God as in 1 X 1 X 1 = 1, comes to live inside a person, God is moving out the person’s human nature. So negative mindsets must be replaced with positive ones. God has a mindset that nothing is impossible for Him. That’s pretty positive. Is your mind set on the God who can do anything or the limits of your ability or situation? After you have shredded the old mindsets, get ready to acquire the new. Renew your mind with the Word of God. “Your eye is the lamp of your body; when your eye (your conscience) is sound and fulfilling its office, your whole body is full of light; but when it is not sound and is not fulfilling its office, your body is full of darkness” (Luke 11:34). Satan, the enemy of God and people, wants you to dwell on your sins and shortcomings. This dishonors God. God has already gained the victory over all sin and shortcomings. God knew everything you have done, are doing and will do, and He choose you for His kingdom anyway. God’s people must walk in the victory He purchased for us at the cross. Our conscience and mind are fulfilling their role when we operate in the joy of the Lord. No matter what happens in life, find something specific to praise and worship God. Can’t seem to think of something good that happened today? Remember something good that happened yesterday and praise and worship God for it. Praise God for the testimonies in the Bible. Praise God for the testimonies in your life or the life of someone close to you. Get your mind off of your problems and limits. Focus on God and His mission for you. “Go then and make disciples of all the nations, baptizing them into the name of the Father and of the Son and of the Holy Spirit, Teaching them to observe everything that I have commanded you, and behold, I am with you all the days (perpetually, uniformly, and on every occasion), to the [very] close and consummation of the age. Amen (so let it be)” (Matthew 28:19-20). Ask God for a greater manifestation of the fruit of self-control given by the Holy Spirit. Ask God to use this fruit to stop meditating on negative experiences. You need the power of God to change your mind; the human mind does not want to think like God. Try shredding the symbol of a negative experience. Today is a new day that God has granted you. Do not allow Satan to steal the victory Jesus Christ already won for us by operating another day meditating on a bad experience. Too many people are going to hell. Too many believers in God are not operating in the fullness of all God has given. Mature Christians are needed to cultivate and harvest disciples. Shred the past and press on to all God has in store for you and those He has placed in your sphere of influence. Focus on God. “Now to the King of eternity, incorruptible and immortal, invisible, the only God, be honor and glory forever and ever (to the ages of ages). Amen (so be it),” 1 Timothy 1:17 (Amplified Bible). Rhubarb Slush – This drink must be made ahead of time during the summer when your rhubarb patch is still growing and put in the freezer for special occasions. 20 stalks of cleaned rhubarb, 1 cup of sugar and water to cover. Bring to a boil then simmer for one hour or until the rhubarb has cooked down. Then put in a freezer container and freeze until ready to use. Bring out frozen rhubarb and allow to thaw until slushy. Put rhubarb in a pitcher or punch bowl. Add ginger ale or seven-up to fill the pitcher and stir until you have a nice slush. Pour into festive glasses for your party and serve. It feels good to remember the warmth of summer when you drink this slush on a cold winter’s day. To make this drink may be updated for the holidays by adding champagne for a fun New Year’s Eve drink. My 2018 Resolution that Worked! The resolution to lose weight is not new to me. 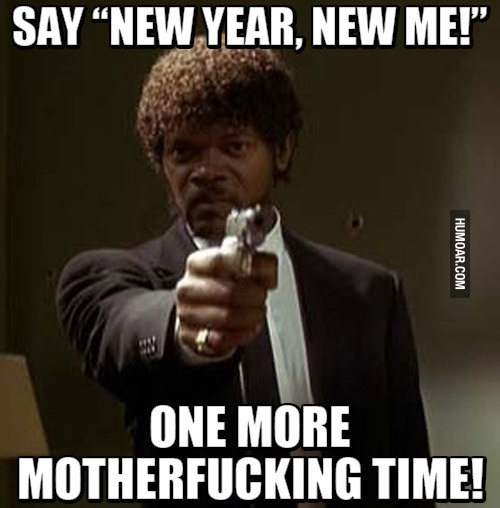 In fact, it’s been my resolution every year for at least 12 years. Up until 2019, the resolution was always short-lived. I usually lost motivation within the first few weeks of the new year and quickly resumed my old bad eating habits. The difference this year is that I am resolving to maintain a healthy weight because I actually stuck to last year’s resolution! I am 75 pounds lighter than I was in December 2018. I am now a happier, healthier version of myself. I must admit, the initial motivation was less about a new year’s resolution and more about the threat of walking down the aisle in a white dress. The important thing is that I stuck with my new lifestyle and I succeeded! On my wedding day this past October, I wore a dress that was 4 sizes smaller than any dress I owned before. I can look at my wedding pictures without cringing and more importantly, I’m less at risk for conditions like heart disease and diabetes, which are both in my family’s health history. So how did I do it? The healthy way: diet and exercise! I have zero tolerance for all of these strange diets surfacing all over social media. The results of reliable medical studies have found fad diets to be unhealthy and largely unsuccessful long-term. When I set out to lose weight, I did research on several different options. The only option doctors and researchers agree on is old fashioned diet and exercise. Eat less, move more. It’s really quite simple. Exercise: I joined my local YMCA where I now spend 90 minutes a day at least 5 times a week. I do 60 minutes of cardio (treadmill, elliptical) and 30 minutes of toning (light weight lifting). I throw in a Zumba class occasionally with my girlfriends (try it – it’s fun!) and I take my poodle on a walk two or three times per week. I set a long-term goal: run a 5k. I started training in January and two weeks after my honeymoon in October, I ran in my first race. My new goal is to run 5 miles without stopping; almost there! Diet: This was the hardest part because I LOVE food! I have a massive sweet tooth, a big appetite, and very little willpower. I limited myself to about 1400 calories per day. I downloaded a calorie counter app to keep track of my daily intake. The calorie counter (Fat Secret for Android – I highly recommend it and it’s free!) has a great feature – it gives nutritional information for dishes at hundreds of restaurants. I am now able to make healthy and informed decisions every time I eat. I discovered there is no need to deny myself all of the foods I love so much. I now eat one cookie instead of twelve. Moderation is a beautiful thing, I can have HALF of my cake and eat it too! 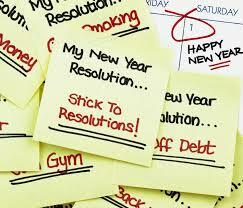 To everyone beginning the resolution of losing weight this year – stay motivated and set goals! The journey is not always easy but the grass really is greener on the lighter side of the street. Are you a fellow Atlantan looking to be more healthy, fit and happy for 2019? Today I’m going to share with you three ways that you can have a happier, healthier and more fulfilling year in the metropolis of the south. Hot spots like Tassili’s Raw Reality Cafe, Harmony Vegetarian Restaurant and Cafe Sunflower are favorites among many locals. Not only do they serve delicious holistic meals, they are extremely budget friendly. Tassili’s Raw Reality Cafe allows you to mix and match items on their “raw delectables” menu for as low as $7. With fast food and vegan food the same price, there are no more excuses. In recent years, Atlanta has become home to some very awesome raw organic smoothie and juicing bars such as Arden’s Garden (a personal favorite), Dtox and Rawesome Juicery that myself and many other Atlanta residents are going crazy about. 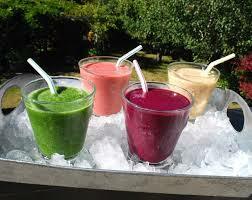 Organic juices and smoothies are a wonderful way to charge up your body’s battery on nature’s goods. I don’t know about you but I’d take some juice over a corona any day. Living in a major city such as Atlanta with long commutes, fast food on every corner and tons of nightlife activities can often be hindering to living a healthy and holistic lifestyle. At times the path to health and wellness can be “the road less traveled”. Almost everyone has those friends who despite you announcing your diet, detox or fitness challenge are unsupportive and most times, unintentionally. No need to worry, there are other like-minded locals who want what you want and will partner up with you to get it. On Meetup, there are currently over 50 fitness meet ups in Atlanta. Not to mention the various health and wellness expos that take place throughout the year that you can attend. Even “the road less traveled” doesn’t have to be a lonely one. Feathers is a proud Atlanta transplant by way of Buffalo, NY. Though a homebody, she enjoys embarking on missions around Atlanta to eat great foods, meet great people and do great things. It’s that time of year again. That time where you have to say goodbye to your past and hello to the new year and the times ahead. 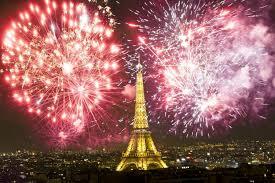 New Year’s Eve is the once a year celebration where you can forget your troubles and make new resolutions. Looking for the perfect place to spend New Year’s 2019? These four spots will be sure to leave you with a memorable hangover. People in New York will most likely end up at Midtown Manhattan’s “Times Square.” That is if they want to be surrounded by tourists, foreigners, and plenty of the NYPD. Remember, no open containers in public and respect the barricades. Next we head out to Atlanta, Georgia, and make mention of “Magic City,” a well-known club where hip hop artist’s such as Young Jeezy, carl Jung, Young MC, come to party. If you make your way to Magic City to watch the ball drop, don’t forget your ID as this is a gentlemen’s club. Last stop, Salt Lake City, Utah’s Gallivan Center. This New Year’s party spot may not lead to the alcohol-induced coma that you are looking for but it’s still a great place for a kick back celebration. 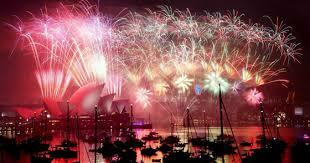 At the drop stroke of midnight, the new year is brought in with a large display of fireworks. As always, a great show. Whatever your plans to ring in the New Year, be sure to do a few important things in advance. Make sure to book hotel and entertainment reservations in advance. Allow extra time in travel for traffic jams, and obey the rules, these festivities can become chaotic. The past year has been a great learning year for me in the area of relationships. I’ve learned a lot about myself, others, and especially about how much God loves ME! Some of what I learned was very disappointing as I saw so much selfishness in relationships. I know that I am guilty of it too sometimes, but I just recognized it more, and saw the repercussions many times. Those consequences are painful and the effects are trickle-down. It has made me really think about Love a lot more and how Love as God intended it to be should be evident in our lives ALWAYS, and not just when it’s convenient for us. God spoke to me about His Love through my dog, Tracker. Yep, this is the Tracker story that I’ve been meaning to put out there. This isn’t exactly how I thought I’d convey it to everyone but as time has passed and I think about it even more, I know without a doubt that the truth that God impressed upon me that night is what is most important about the story. Tracker is an Australian Shepherd, Blue Heeler mix. He’s not the most attractive dog, but his unusual coat is part of what endears him to me. He’s always been a good dog since we acquired him even though he did jump on people a little too much. Tracker has a humble spirit, if that is possible from a dog. I don’t know how else to describe his demeanor. You could just tell that he was grateful, or maybe I should just say happy, no overjoyed (or all the aforementioned), when he was played with, or if you took the time to pet him. He loves attention! We moved in May this past year. Getting him into a car and to the new house was an endeavor. Kudos to Shannon, and kids, and her van on this accomplishment! Once at the new house, he wasn’t there long, maybe one full day, and he went missing. The how isn’t important, only that Tracker was gone. We were all pretty devastated. Most of us anyway! Four months later, Labor Day weekend, Natalie and I had left the house to go into town and pick Lindsey up from Bojangles where she was with some friends. We were getting ready to leave when I saw a dog coming across the road angled towards us. I said, “Look at the do. . . THAT’S TRACKER! !” And so, a crazy hour and a half pursuit began. Did I mention crazy. . . . it was crazy, and really seemed much longer than an hour and a half! As Tracker came prancing across the road into Bojangles parking lot, I opened the car door, and hollered his name. He stopped and looked at me. He didn’t come running to me. He was very apprehensive and I guess didn’t recognize me. He started walking away towards Food Lion. Bojangles is next to Food Lion Grocery store and the parking lots connect. I backed up, and got out and was hollering at him to come to me. He stopped and turned around and just stood there looking at me. He took a couple of steps towards me but when I made a move towards him, he turned to run away. And so this scenario played out with me calling Tracker’s name, him stopping and looking and maybe taking a step or two towards me, and then when I would take a step or two towards him, he would turn around and start walking away. I drove into Food Lion parking lot following him. I parked the car and got out. I felt like a mad woman, and all I could think about or see was Tracker and KNEW that I HAD to catch him. People were coming and going through the parking lot, Bojangles and Food Lion. Some of them were people that we knew and some were just people that recognized me or the girls, I’m sure. I wonder now, as I think back, what some of them must have been thinking as I was chasing this dog with what had to be a very frantic look and definitely a panicky voice. I couldn’t bear the thought of going home without Tracker with us. The urgency I felt was indescribable. I was so totally focused on catching Tracker. It was a very surreal feeling. Lindsey said more than once, “Mom, people are looking at you,” and “Mom, just get in the car. Forget the dog, and let’s go home.” I didn’t care if people were looking at me, and I didn’t care what they thought. AND, I was definitely not going home without Tracker if I could help it at all! As the pursuit of Tracker progressed, a couple of friends stopped to help, and even one complete stranger. The stranger, to me, was the most intriguing character in this drama. She stopped her car in the middle of the road, left her car door open and started helping us chase Tracker. At this point Tracker had crossed the road and was making his way through people’s yards now which we were following him through. It’s a wonder someone didn’t come out of their house to see what was going on! The stranger helped for a while, then eventually got back in her car, wished us luck, and drove off. I guess her help baffled me because we WERE complete strangers. She left her car in a dangerous situation and all to help us chase a dog! Was it because she could see how desperate we seemed at this point chasing Tracker? Other friends produced food from their car as a lure for Tracker, and helped to chase him around dark corners and through bushes. Rob drove by, turned around and came back to help us. Rob stuck with us to the end! I had gone into Food Lion and bought some doggie treats and a leash. Can you believe I bought the last large dog leash in Food Lion? Who knew that was a hot commodity in Food Lion? Finally, with a doggie treat and Natalie’s quick hand, she was able to fasten the leash onto Tracker’s collar. Tracker got kind of wild at this point. He was thrashing around and I didn’t know if we were going to be able to get him in the car without someone or him getting hurt! There was more than once when we all asked, “Is this dog really Tracker?” His appearance was so mangy looking. His coat was all matted with burrs and I’m not even sure what else but it was pretty disgusting looking. He truly had a crazed look in his eyes. I can’t say that I really blame him though. He’s been on his own, managing only God knows how for FOUR months! It truly was a miracle that we found him, saw him, or he found us!! It wasn’t coincidence. It was a miracle. God knew we would be in town that night and brought Tracker to us. I believe that. I believe that God pursues us in the same way. As intent and crazy as I was about getting Tracker, God is SO MUCH More than that towards us!! More than I can ever imagine. As I was standing in a yard that night watching Natalie and Mackenzie run through bushes chasing Tracker, I felt a quiet peace settle on me, and God’s voice very plainly say to me, this is how I pursue you. I love you so much that I will chase you down, I will pursue you even when you seem to not know who I am!! Even when you don’t want the safety and comfort that I will give to you!! The reality of God’s Love for me was very real and I felt His presence VERY CLOSE to me. It was an amazing feeling and a very vivid memory for me. Amazing doesn’t even begin to describe the whole experience. With Rob’s awesome help, we got Tracker in the car and brought him home. I spent the next two days cleaning him up and cutting his hair and all the burrs and matted mess that covered him. He was awesome. He just stood there while Natalie helped me clean him up. I think he knew that we were cleaning him up and helping to make him feel better. I guess he knew he was finally home! Isn’t that an amazing example of God’s love for us though? His unfailing, forgiving, relentless love for us! I’m so thankful for Jesus and His great love for me. His willingness to come to this earth as a man and shed his blood to save ME! I hope and pray that you know this Love too. That is my prayer for you this new year. 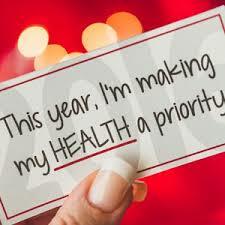 This year was the same as last when it came time to make my New Year’s Resolution. I set out to exercise more and lost twenty pounds. Also like last, I haven’t stuck to my plan and have given up already. I have tried to accomplish this over the last two years because I have tons of clothes that I can no longer fit into and it’s a small amount that I feel I should be able to lose, but I seem to always fall short. The first few weeks in January I staied solid. I was going to the gym, eating right, but then daily life happened and I had a hard time adjusting and fitting it into my daily routine. Plus there is after holiday gift cards for restaurants, starbucks and I am a coupon collector; Finding good deals on food always makes it hard to pass up on things that I love to eat when they are at such a bargain. Sometimes dieting seems a little more expensive than the alternative. While I know it is more healthy money becomes a factory at times. I had a bad week and then I tried to bounce back and get back on my fitness routine, and then I got hit with the flu. How am I supposed to workout while I cant breath? I am not saying it is an excuse but it is a set back. So after a month of disappointment I basically stopped trying so hard. I still do plan to keep trying to finally accomplish this resolution but I believe it will be a slow process that I have to get my head in and separate myself from others. Hopefully next year I can make a new resolution and not repeat this same one. Subscribing to an online dating site is too much direct, one-to-one, personal contact with virtual strangers for my comfort level. 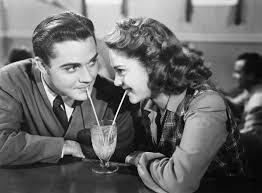 Whether you’re just shy like me or jaded from the online dating scene, there are ways to meet and greet other singles that may be more effective, fun, and comfortable. It’s a free site for anybody to find and join local groups and clubs. Minimal profile information is required; no need to be witty or pretty to join a meetup group. Search your zipcode and upcoming group events will display. Have a looksee, join groups or not, RSVP to events or not – it’s easy and fun. My area has a wide variety of groups including singles specific, couples only, religious, political, business, and just for fun activity clubs for all like volleyball, softball, hiking, scrapbooking, and card games. Some groups ask for a small annual contribution ($5-ish) after you attend a few of their group events. Some events can be costly, so avoid the day trip excursion clubs if you’re on a budget and opt. for the $5 movie night club instead. Local newspapers regularly list groups and club meetings and events. Many are singles magnets without being overtly so. Bonsai gardening clubs can be popular with apartment living male and female singles, athletic stores sponsor running and walking clubs, county parks and recreation sponsor co-ed softball teams. Attend at least 1 new meeting or activity a month until you find the right fit for your interests and personality. It’s not just for the unemployed or those seeking a better job. Connecting with others in the work and business world, without the Facebook (too)personal journals, is a great way to build a professional singles network without being blatently obvious online. There’s an option to display your marital status on your profile page. Ask your friends and family to forward a profile if they notice somebody single that you might like. Join groups, follow employers, connect with everybody you know whether single or married. Include coworkers, former coworkers, friends, neighbors, high school and college alumni to build your network. Participate in group discussions and “Like” or “Share” others updates to see and be seen. Write a recommendation for a former coworker that is looking for work. Use the free events app to find local professional networking events to attend and meetup with other potential singles. Charities are always in need of volunteers. 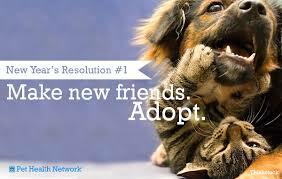 Pet rescue groups need foster homes and helpers at public adopt-a-thons. Walk-a-thons and bike-a-thons need volunteer helpers as well as participants. VolunteerMatch.org listed 91 opportunities in my area. What a great way to help others and meet new friends (and potential dates). Getting out of the house, away from the computer, and attending meetings or events is a much more comfortable way for me to make new friends and get to know potential dates (before an actual date) with minimal pressure. Have any other non-online-dating-site ideas? Feel free to share them in the comments section below. Want to capture some of the excitement of NYC without the travel and braving the huge crowds? Then come to Kokomo, Indiana! 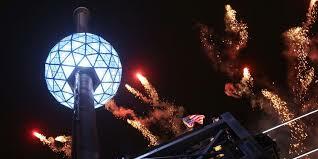 One of the best kept secrets for New Year’s Eve in northern Indiana is Kokomo’s ball drop. I just happened to discover it from an article online and wanted to share my experience. My boyfriend and I arrived downtown Kokomo about ten thirty that evening, and while there were a lot of people out, it really wasn’t too crowded yet. The city of Kokomo had a few blocks around the court house marked off so there was a nice area to walk around that offered quite a few different attractions. One side of the courthouse itself was turned into a theater screen which displayed different movies made by students in the community, as well as footage from the streets themselves. There was a Techno-Dance booth where people could groove along with Playstation’s “Everybody Dance” game projected onto a screen. The best overall dancer was given a cash prize. Bubble wrap was laid all along Main Street for people to jump and stomp on. Unfortunately, it was already smashed by the time we got there. Local businesses hosted a competition for the best party hat made out of recycled materials and awarded gift certificates for things like the most outrageous or the most glamorous. There was a stage set up near the ball drop for the party organizers to host out of, as well as for party goers to listen to the music of Mike Milligan and Steam Shovel. A large flash mob materialized around eleven thirty that night and rocked out to a medley of songs. Shortly before midnight, the hosts sent out dozens of beach balls from the stage for the crowd to play with and pass around. The whole crowd joined together for the final countdown ten seconds before midnight while the Kokomo High School TechnoKats Robotics Teams started the ball drop. As soon as the ball touched down, a fantastic fireworks display shot off the top of the courthouse where the crowd oohed and ahhed at what was equal to many Fourth of July celebrations. Several local eateries such as the Kokomo Elks Lodge and the Upper Crust Sandwich Shoppe stayed open to let hungry revelers eat breakfast. There were also a few other cafes and bars open in the area. We stopped in at Cook McDougal’s Pub which was directly across from the ball drop location, and it was packed. If you want to come down here to eat dinner or for extended drinking come early because it was absolutely packed. We had to wait about fifteen minutes for drinks and stand directly in the walkway because there was nowhere else to go. Luckily a bench opened up later on so we could sit down, but there was no hope of getting a table. All and all, my boyfriend and I really enjoyed our time in downtown Kokomo and couldn’t believe we had never heard of it before! 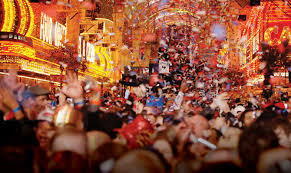 It’s a great little celebration where you can ring in the New Year without being completely overwhelmed by crowds. If you’re going to be in the area for the holidays, I recommend checking it out.